Geneva (AFP) - The UN's Syria envoy voiced hope Tuesday that peace talks could restart next month, as US Secretary of State John Kerry said there had been "progress" in efforts to salvage an urgently-needed ceasefire. 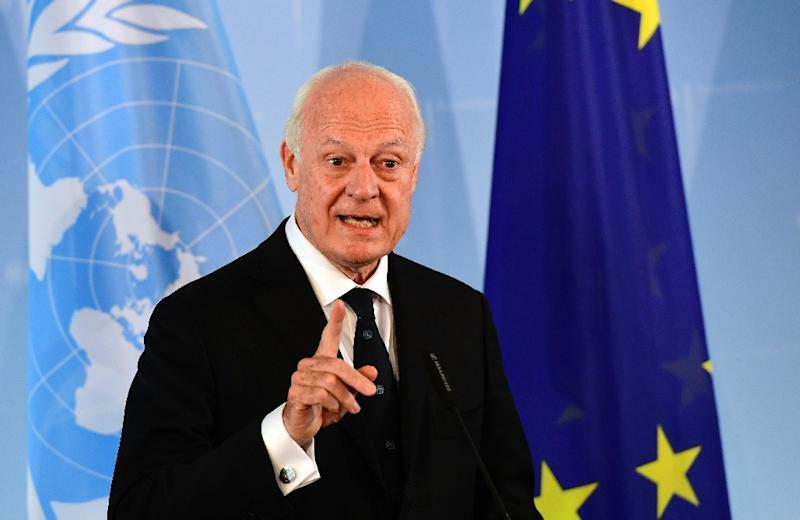 UN envoy Staffan de Mistura has struggled to keep the peace process alive amid a surge in fighting between Syrian President Bashar al-Assad and rebel groups. 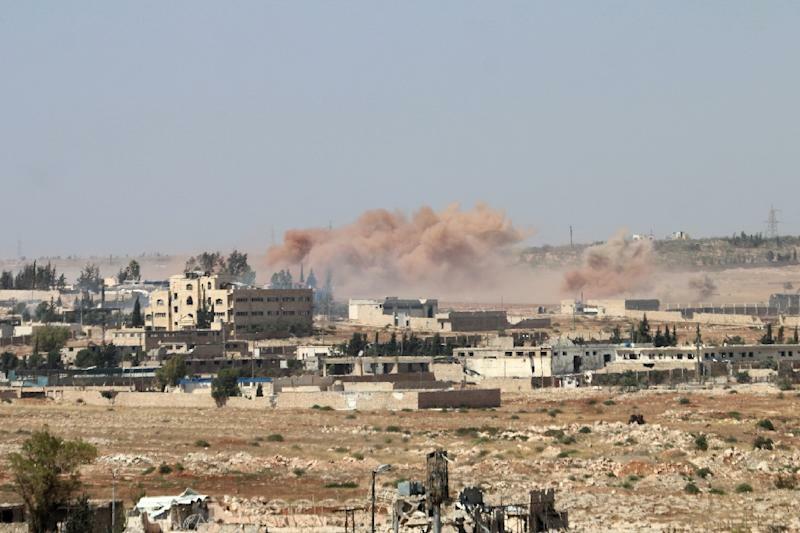 The fighting persisted Tuesday, with government forces seizing a rebel-held neighbourhood on the northwest outskirts of Aleppo, tightening their siege of the opposition-controlled parts of the city. 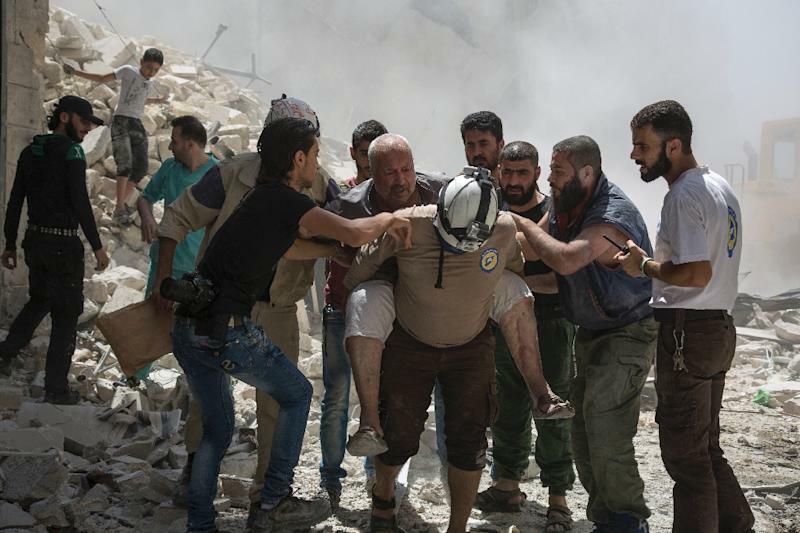 As the bloodshed continued, de Mistura met with US Syria envoy Michael Ratney and deputy Russian foreign minister Gennady Gatilov, part of a bid to salvage diplomatic efforts to end more than five years of brutal conflict. The Britain-based Syrian Observatory for Human Rights said loyalist troops had full control of Aleppo's Leramun district after heavy clashes, and reported fighting for neighbouring Bani Zeid, which is also held by rebels. In recent weeks, regime advances around the city's outskirts have severed the only remaining route into the rebel-held eastern neighbourhoods, effectively placing them under siege. They have tightened the encirclement of the rebel-held east since then, taking parts of the road itself and prompting food shortages and spiralling prices in opposition neighbourhoods.